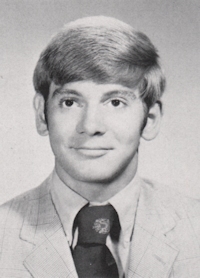 Obituary – Smith, Larry Gay « Perry High School Alumni Association, Inc.
Football 9, 10, 11, Wrestling 9, 10, Track 9, Annual Staff 12. 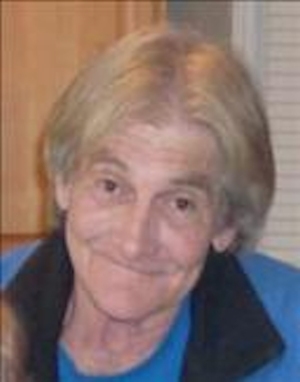 Larry G. Smith, 60, of Perry, passed from this life on Saturday, June 23, 2012 at his home. Services have been entrusted to the care of Palmer Marler Funeral Home and are scheduled for 2:00pm Saturday, June 30, 2012 at the Palmer Marler Funeral Home Chapel at 203 E. Fir St in Perry, OK.
Larry was born on December 26, 1952 in Perry, OK to A.L. and Wilma Smith. He graduated from Perry High School and enrolled in a local college. While in college, Larry found a passion for carpentry and was later offered a job working as a carpenter in Hawaii. After 7 years in Hawaii, Larry returned to his idea of paradise, Perry, OK, where he owned and operated his own carpentry business. In the early 1990’s, Larry accepted a position with the OK. Dept. of Transportation where he worked until his retirement in late 2010. In his free time, Larry Smith liked to take road trips, watch movies, spend time with friends, go shopping with his great nieces and Larry loved to gamble. He will be remembered as a kind and caring man who was very generous, mellow, and down to earth. He will be missed by all who knew him. Larry is survived by his mother Wilma Smith of Perry. Niece: Lori Manter and husband Jim, of Perry. A great nephew: Austin Robinson of Perry, and two great nieces Journey Biggs and Saffire Manter, both of Perry. Larry is also survived by a son, Jason Smith and two daughters, Lyndsay and Leah. He was preceded in death by his father, a brother: Clark Smith and a sister, Deah Estes.